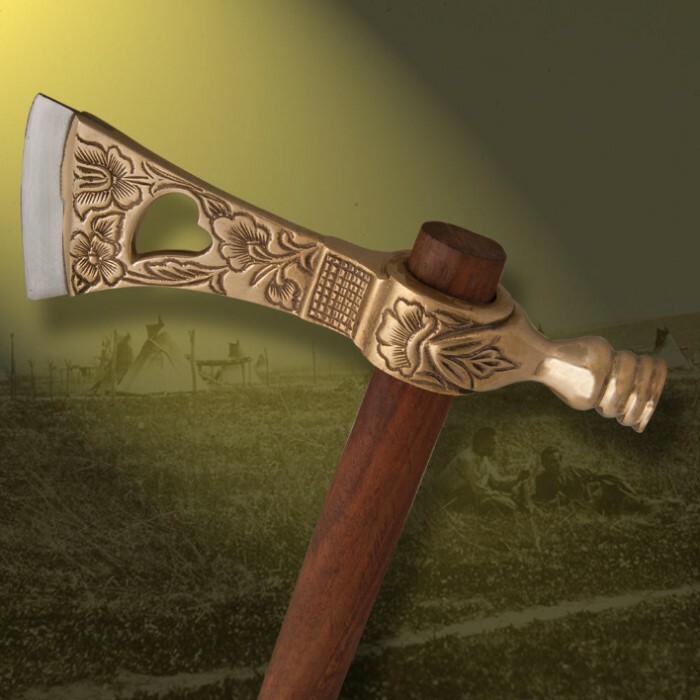 Tribal Peace Pipe Tomahawk With Brass Accents | BUDK.com - Knives & Swords At The Lowest Prices! This faux tobacco pipe is the perfect decorative accent for your home or office. 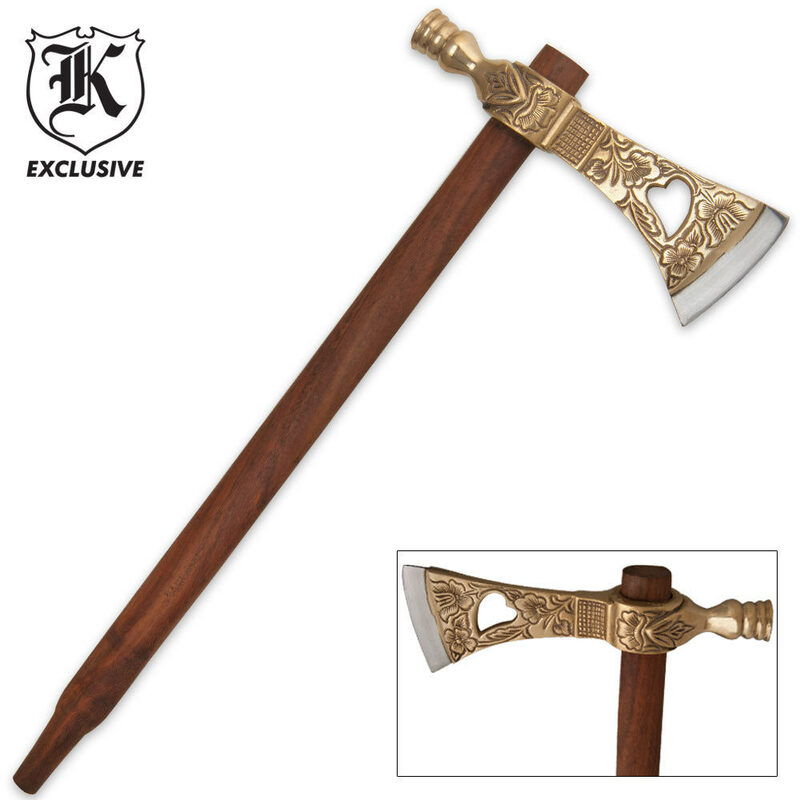 It features a hardwood handle and ornate brass axe head design. This is an ornamental tomahawk that is a functional pipe. It can be sharpened but the stem that it sits on is a hollow pipe so you don't want to use it to scalp anyone. This item is well worth the money and it looks good too. If you are considering it, you should probably go for it. I am in the process of completeing a Medicine Man Peace Pipe and this one stood out as rather ornate. After fitting some Native American style decorations to it, it has turned out better than first expected. One feature not in the description of the Axe is it is actually smokable and not just a decor item.